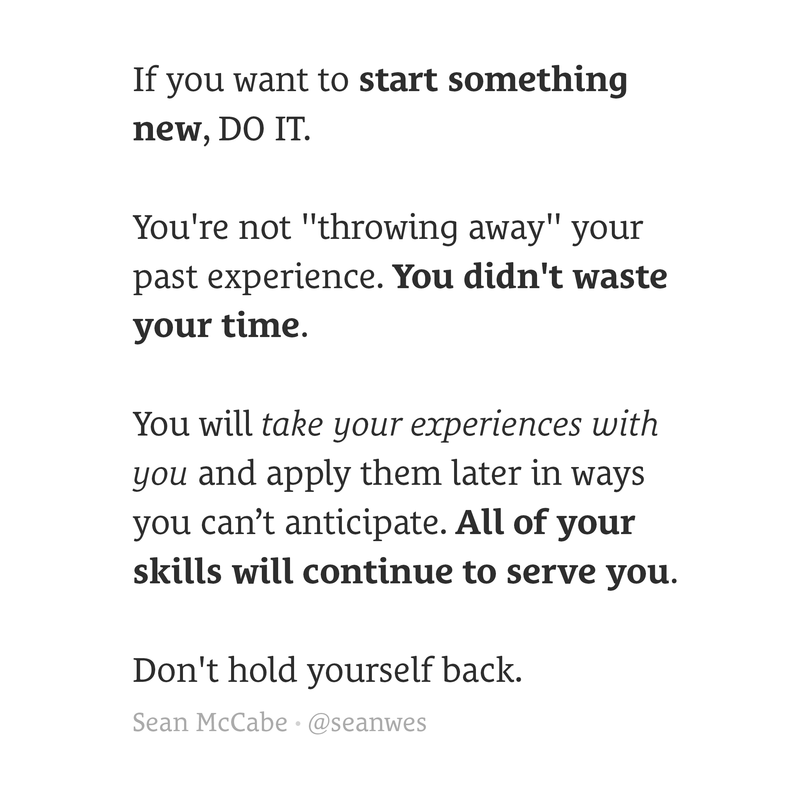 If you want to start something new, do it. Let’s say you want to do something different in your career than what you’re doing now, but you feel held back by all the investment you’ve already made. It feels like if you make this change, you’ll abandon all of the work you did to get this far. All of your effort will go to waste because the experience isn’t directly transferrable. Progress doesn’t always look like the steady climb of a corporate ladder. Sometimes, you have to take a step back to move forwards. Other times, it’s a lateral step. Success rarely looks like a straight line. Embrace the seasonal nature of life. You may be ready to enter a new season. Welcome it. Whatever you choose to do next almost certainly won’t be the thing you do for the rest of your life anyway. It’s just a stepping stone. 100% of your experience is transferrable in that you will use everything you learned at some point in the future in ways you can’t anticipate. Trust that. Believe that. Let go of the scarcity mindset that is holding you back.